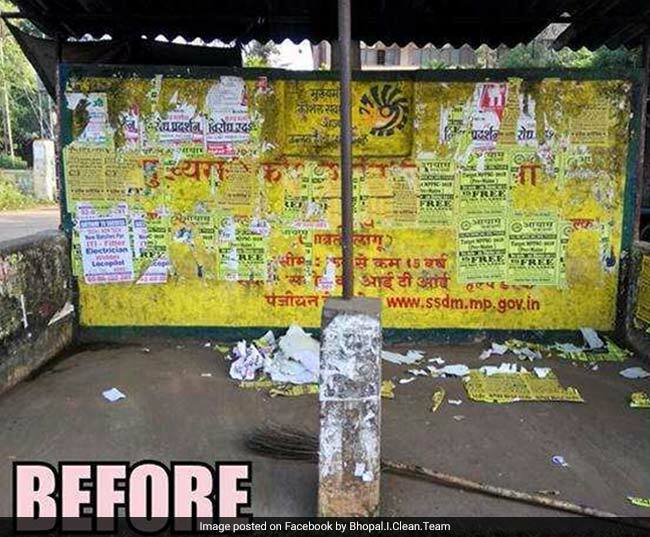 Pave the way for the clean-up brigade that has cleaned 187 spots so far and is on a mission to make Bhopal 100% clean. 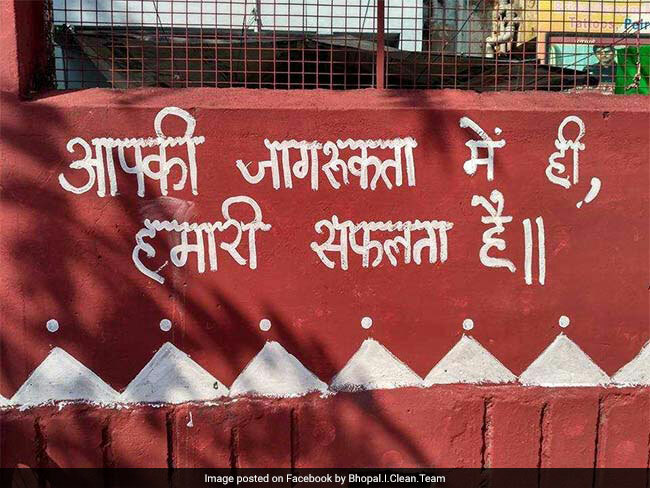 “I Clean, You Clean, We Clean Our City”, with this motto, a group called Bhopal I-Clean gathers to clean up a dirty spot every Sunday. Their belief, there is no dirty area in the city which cannot be fixed by this brigade. Started by six people in January 2014, the group now consists of around 250 active members comprising students, young businessmen, homemakers, and elders. The group takes inspiration from a similar group in Bengaluru named, The Ugly Indian, and claims to have cleaned up 187 spots so far in the city. The concept of I-Clean initiated about 3.5 years back when a group of just 6 volunteers gathered at a spot strewn with garbage. 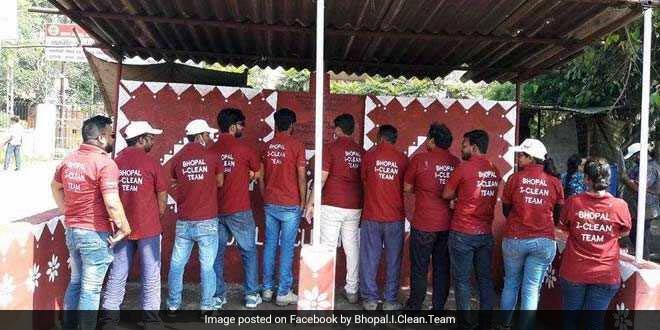 These volunteers packed the garbage into garbage bags for disposal and decided to do something to make the city neat and clean, says, Ajay Kapoor, member of Bhopal I-Clean Movement. Explaining the process, Ajay added, Dirty spots are chosen by volunteers who click pictures of the city and post them on I-Clean Facebook page. Every Sunday, we gather at a chosen spot and clean it. Once the cleaning is done, nearby walls are painted and beautified with Worli art, and slogans. By painting walls we not only want to spread the message of cleanliness, but it is also a drive against poster sticking on walls. 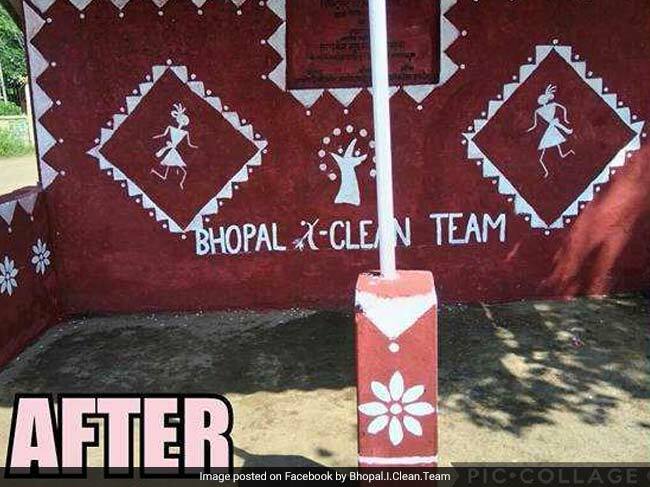 The aim of the Bhopal I-Clean movement is not only to clean dirty spots, but also to make people aware and make them contribute towards Swachhta in every possible way. With the aim of spreading the message of clean living to every Bhopalite, the I-Clean gang encourages people to form small teams in their locality to keep their area clean. The group also believes in raising funds from waste and for that they urge people to donate newspaper and domestic waste, which they then sell to scrap dealers and use the money to purchase paint, gloves, etc. Along with this, each volunteer makes a minimum contribution of ₹50 every month. The clean-up drives have not only got support from the general public, but also backed by Bhopal Municipal Corporation (BMC). The BMC has actively participated in clean-up drives and has supported by providing necessary equipment for removal and disposal of garbage. The member of the group signs off, Every city in India should have an I-Clean team and each citizen should first say what he or she has done before pointing fingers on others. We humans have a tendency to blame others for throwing garbage around, but with I-clean, it is ‘I’ before ‘You’. It is in the name, I should do it rather than asking you to do it. Previous Post: A Way Of Thanking The Nature: Thankyou™ is changing the landscape of waste management. Next Post: Meet Sushant Jha, The Man Who is Unburdening Landfills By Reducing Paper Waste.